After our camera club’s meeting this morning I decided to poke around to find a photo that would benefit from the gloomy day. 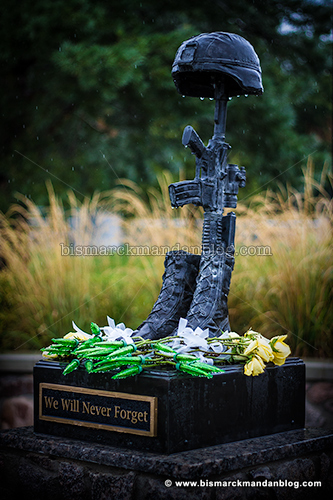 I didn’t have to look far, as I soon spotted these flowers left at the Global War on Terrorism Memorial over at Fraine Barracks. Somber, cloudy days are often good time for reflection; the rain and bleak skies just seem to set the mood perfectly. On such a day, should one be at a loss for something to ponder, consider those who have sacrificed their lives for our country.